October’s almost over which means there’s just about 6 weeks of school left before I graduate! 🙂 I’m actually feeling a little nostalgic about leaving school – meeting new people, finding a job (thankfully, this is more or less settled for a bit!) and the thought of being a responsible adult.. 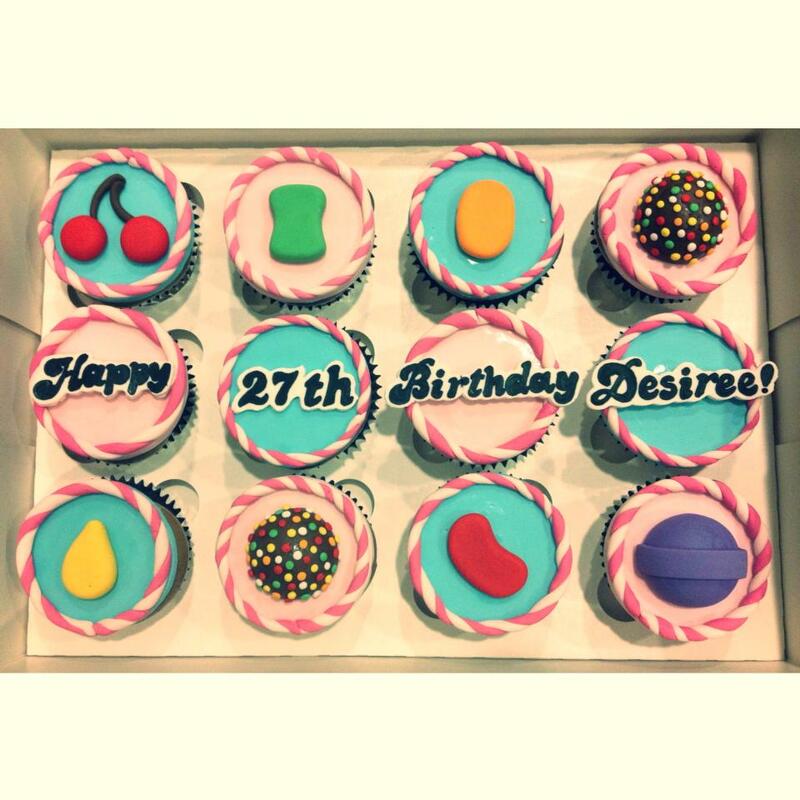 Anyway, I think these cupcakes would probably look familiar to you if you’ve played the popular app game – Candy Crush! I was so pleased to receive this order from Gwen, an old secondary school classmate, mainly because it was good to catch up for a little bit + have a new design to play with! 🙂 Thanks again Gwen!